iPad mini 3 comes with our breakthrough Touch ID technology. It gives you an unprecedented level of security because it uses natures most perfect password: your fingerprint. So with just one touch, you can instantly unlock your iPad mini. But Touch ID goes beyond that. You can also make secure purchases in iTunes, iBooks, and the App Store. And with Apple Pay, you can unlock an entire world of online shopping thats fast, convenient, and secure. Dont let its size fool you. 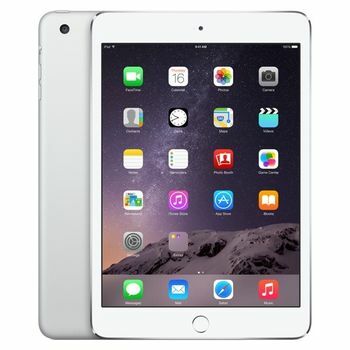 iPad mini 3 is powered by an A7 chip with 64-bit desktop-class architecture. A7 delivers amazing processing power without sacri?cing battery life. So you get incredible performance in a device you can take with you wherever you go. Want to shoot video and photos that are unbelievably crisp, clear, and vibrant? 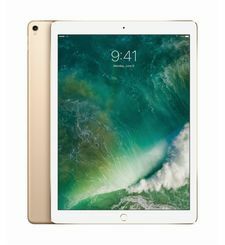 iPad mini 3 has everything you need, including new iOS 8 features like panorama and Time-lapse mode, to capture stills and videos that are as memorable as the moments themselves. Even better, you also get this same great picture quality when making video calls. iPad mini 3 keeps you connected faster than ever. In more locations than ever. Two antennas and MIMO technology give iPad mini incredible Wi-Fi performance. And the Wi-Fi Plus Cellular model supports fast cellular networks around the world-including LTE networks. * So you can download content, stream video, browse the web, and share documents with AirDrop at amazing speeds. 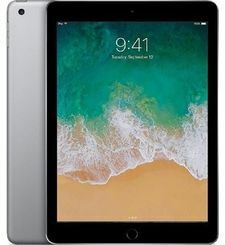 iPad mini 3 comes with powerful apps for the things you do every day, like surfing the web, checking email, editing movies and photos, writing reports, and reading books. And there are hundreds of thousands of apps on the App Store, each designed specifically for the large Retina display instead of stretched-out phone apps. So whether its photography, gaming, traveling, or managing your finances, youll find an app that will help you do it better. iOS 8 is the most advanced mobile OS ever, with features that make iPad mini 3 even more indispensable. Continuity lets you start a project on one device and ?nish it on another. Family Sharing lets up to six people in your family share movies, books, music, and apps. With iCloud Drive, you can safely store any kind of document and access it from any device. In fact, every feature in iOS 8 is designed to work seamlessly with iPad mini, taking full advantage of its powerful A7 chip, ultrafast wireless, and brilliant Retina display. iPad mini 3 comes with our breakthrough Touch ID technology. It gives you an unprecedented level of security because it uses natures most perfect password: your fingerprint. So with just one touch, you can instantly unlock your iPad mini. But Touch ID goes beyond that. You can also make secure purchases in iTunes, iBooks, and the App Store. And with Apple Pay, you can unlock an entire world of online shopping thats fast, convenient, and secure.Dont let its size fool you. 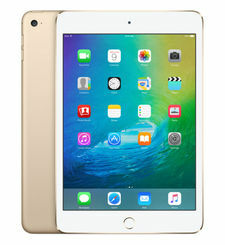 iPad mini 3 is powered by an A7 chip with 64-bit desktop-class architecture. A7 delivers amazing processing power without sacri?cing battery life. So you get incredible performance in a device you can take with you wherever you go.Want to shoot video and photos that are unbelievably crisp, clear, and vibrant? 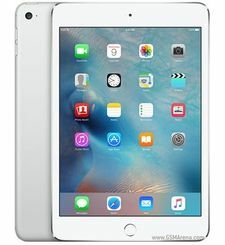 iPad mini 3 has everything you need, including new iOS 8 features like panorama and Time-lapse mode, to capture stills and videos that are as memorable as the moments themselves. Even better, you also get this same great picture quality when making video calls.iPad mini 3 keeps you connected faster than ever. In more locations than ever. 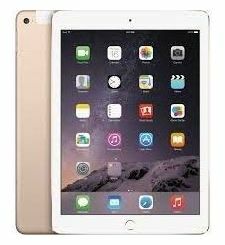 Two antennas and MIMO technology give iPad mini incredible Wi-Fi performance. And the Wi-Fi Plus Cellular model supports fast cellular networks around the world-including LTE networks. 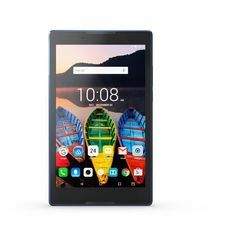 * So you can download content, stream video, browse the web, and share documents with AirDrop at amazing speeds.iPad mini 3 comes with powerful apps for the things you do every day, like surfing the web, checking email, editing movies and photos, writing reports, and reading books. And there are hundreds of thousands of apps on the App Store, each designed specifically for the large Retina display instead of stretched-out phone apps. So whether its photography, gaming, traveling, or managing your finances, youll find an app that will help you do it better.iOS 8 is the most advanced mobile OS ever, with features that make iPad mini 3 even more indispensable. Continuity lets you start a project on one device and ?nish it on another. Family Sharing lets up to six people in your family share movies, books, music, and apps. With iCloud Drive, you can safely store any kind of document and access it from any device. In fact, every feature in iOS 8 is designed to work seamlessly with iPad mini, taking full advantage of its powerful A7 chip, ultrafast wireless, and brilliant Retina display.